Marylou Kathryn Roshia is a Shareholder at Colucci & Gallaher P.C., practicing in the firm’s Litigation Department. Ms. Roshia actively appears in Federal Courts throughout the state focusing on the defense of civil rights claims involving all aspects of the Constitution and Federal Statutes, as well as acting as local counsel to major national businesses and industries. In addition, Ms. Roshia is regularly engaged in the defense of physicians and hospitals in medical malpractice cases and the representation of physicians and physician assistants at proceedings before the Office of Professional Medical Conduct. Ms. Roshia defends numerous national and local entities in general personal injury actions. Upon graduation from Albany Law School of Union University in 1989, Ms. Roshia began her legal career with the New York City law firm of Paul, Weiss, Rifkind, Wharton and Garrison, where her focus was on commercial transactions, mergers and acquisitions, securities, and intellectual property. 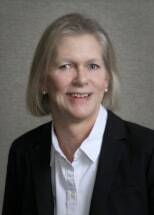 She returned to Western New York in 1991 to serve as co-counsel for the Prison Superintendent in the major litigation resulting from the 1971 Attica Prison Riot and co-authored a brief in support of a writ of certiorari to the United States Supreme Court. Ms. Roshia was then honored to serve as Confidential Law Clerk to the Honorable William M. Skretny, Chief Judge of the United States District Court for the Western District of New York before returning to private practice as a trial and appellate lawyer serving clients throughout New York State and beyond. In addition to her legal experience, Ms. Roshia practiced coronary care/intensive care nursing at the Albany Medical Center, surgical intensive care nursing at Rochester General Hospital, and emergency/intensive care nursing at Jones Memorial Hospital in Wellsville, New York. Since 2014, Ms. Roshia was selected by her peers for inclusion in The Best Lawyers in America (Copyright 2013 by Woodward/White, Inc. of Aiken, S.C) in the field of Personal Injury Litigation-Defendants. Since 2011, she has been named a Super Lawyer in Upstate New York for Personal Injury Defense: Medical Malpractice by Super Lawyers magazine. For 9 years Ms. Roshia has served as a member of the Board of Directors for the Volunteer Lawyers Project, and is a member of the Bar Association of Erie County, the New York State Bar Association, the Western New York Trial Lawyers Association, and a past member of the American Association of Nurse Attorneys. Ms. Roshia is a 2004 graduate of Leadership Buffalo.